New Senate Finance Committee Chair Chuck Grassley revealed his three-part initial plan to cut drug prices Wednesday. Legislation to ban “pay-for-delay,” a tactic where a brand drug company pays a generic manufacturer to withhold a product that would compete with the brand drug for market share. The CREATES Act, another bill that prevents drugmakers from blocking access to samples of their products and slowing down the development of generic alternatives. A bill that allows Americans to import less expensive drugs from Canada. Grassley, who is viewed as being less pharma-friendly than his committee chair predecessor Orrin Hatch, stressed he wants to find bipartisan solutions in a Thursday Senate Finance Committee press release. 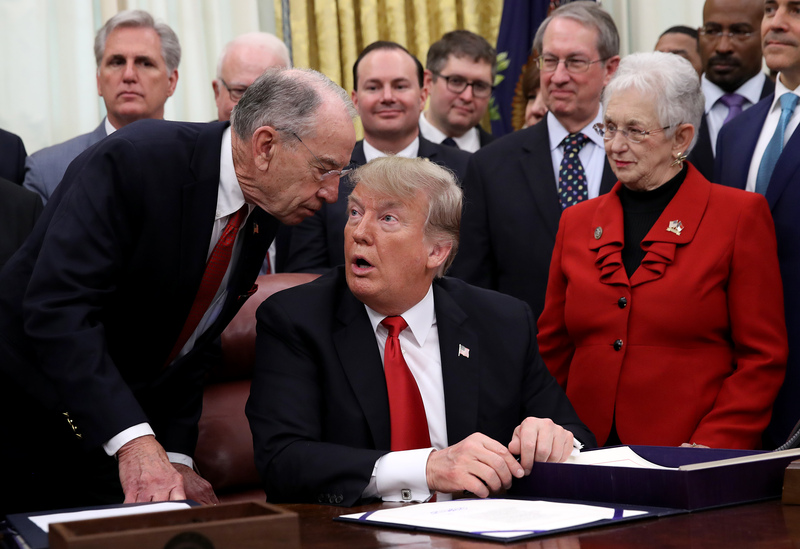 “Specifically, policy objectives include: lowering prescription drug prices; increasing access to prescription drugs and addressing shortage issues; strengthening and modernizing Medicare Part D; increasing rural health care access, including addressing health care workforce issues,” Grassley said. Those bipartisan solutions might create some unlikely allies as President Donald Trump also seeks to cut drug prices. The Trump administration floated an international pricing index that would base Medicare drug payments on cheaper foreign prices — something Vermont Sen. Bernie Sanders is also behind, reported Axios. Trump has sporadically called attention to drug pricing since taking office and has attacked specific drugmakers by name. Trump told Pfizer it should be “ashamed” of its price increases in a July 9 tweet, spurring a price hike delay. Meanwhile, nearly 40 drug manufacturers raised prices on hundreds of drugs Jan. 1, reported The Wall Street Journal. High prescription drug prices are a top issue among Americans. Fifty-two percent of people said “passing legislation to bring down the price of prescription drugs should be a ‘top priority’ for President Trump and Congress,” according to a Kaiser Family Foundation poll in March.